If you work in a healthcare office, you may be wondering if text messages, emails, automated voice calls and other forms of communication are acceptable for medical appointment reminders under the Portability and Accountability Act (HIPAA). The answer is yes. The Health and Human Services (HHS) department has stated that automated doctor appointment reminders are allowed under the HIPAA Privacy Rule (see here). While we are excited to share this exciting news, we do want to remind our current and future clients that we are not legal professionals, and therefore we cannot provide any legal advice or instruction. One of the primary reasons the United States government passed HIPAA was to encourage the use of new technology in the healthcare field by establishing rules to protect the privacy of patients in regard to patient appointment reminders. A key aspect of HIPAA relates to the security of data regarding patient records and other vital information that should remain private under federal law. This pertains to HIPAA appointment reminders, HIPAA rules regarding text messaging, and doctor appointment email messages and calls. Apptoto’s HIPAA-compliant apps provide message templates which are easily customized, so you can tailor your messages as needed. An example of this is for providers who do not include the full name of their practice, opting instead for initials only, as a way to further protect their patients’ privacy. Here are some important things to keep in mind regarding calling, emailing, and text messaging and HIPAA compliance. With HIPAA appointment reminders, healthcare providers are required to comply with reasonable requests regarding the format of the reminders. For example, if a patient wishes to opt out of receiving text-message appointment reminders, the patient can request another type of reminder, such as appointment-reminder calls. The healthcare office is not required to make a phone call or send a medical-appointment-reminder text message if this is not a service provided by the office to other patients. However, the healthcare office will need to cease sending reminders if a patient makes the request to do so. HIPAA-compliant, medical-appointment apps are a great help for both the healthcare office and the patient. Apptoto is a convenient, cost-effective option for any healthcare provider, including therapists, counselors, and more. Medical offices may also ask patients to state their prefered method of reminders, such as HIPAA text message appointment reminders, calls, or emails. They may choose to opt in to appointment reminders, and the appointment-reminder service provider can work with the medical office to set this up effectively. 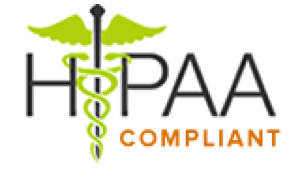 In order to use our HIPAA-compliance program, including HIPAA text-message appointment reminders, you must sign up for a free account and subscribe to one of our HIPAA-compliant plans. If you are on a Group Plan or higher, you can request a signed BAA by sending your company's official name, HIPAA compliance officer, and address to support@apptoto.com.